"Rich Lives," a play by Indiana's well known author, (True Brew) playwright and columnist, (Beer Buzz-NUVO) Rita Kohn, will be one of the highlights at the Indiana State Fair 2013. The play is based on "Voices of American Homemakers: An Oral History Project of the National Homemakers Council," and includes oral histories of early to Mid-20th Century homemakers. Collected and edited by Eleanor Arnold, Kohn brought the stories and women to the stage, with the performances honoring the 50th anniversary of Pioneer Village, an annual staple of the fair. 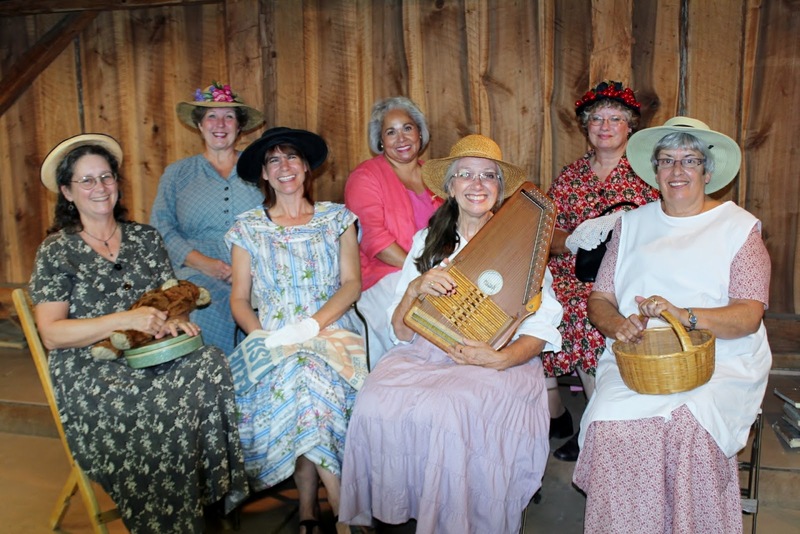 The cast includes: Sandra K. Dosterglick, Susan Harless, Myra L. Dworski, Janet Tyner, Sandra J. Barton, Jeannette Simpson Edwards and Fran Wampler Lucas. Aug. 14 at 10 a.m. and noon. Price: Free with State Fair admission. Image: Andy KlotzElizabeth J. Musgrave is a syndicated fine-living, travel columnist, freelance writer and photographer, and performing arts and restaurant critic for Gotta Go. Read Infused, her spirits, wine & beer lifestyle column, at www.GottaGo.us and www.FoodDigital.com and catch her as Indy’s Fine-living Adviser on Indy Style television program at WISH Ch. 8 (CBS affiliate). Gotta Go is published on www.Gottago.us, www.BroadwayWorld.com, and in magazines. Follow her on Twitter @GottaGo, LinkedIn and Facebook.